While we love all things modern, not everything has to be bright and shiny to make an appearance on our Pinterest boards. In fact, our latest obsession isn't new at all — or at least it doesn't appear that way. We're talking about distressed kitchen cabinets. And when it comes to these beauties, the word "perfect" isn't in our vocabulary. Hungry for more? Scroll on for six kitchens that are guaranteed to satisfy your cravings. The recipe for success in this farmhouse-style kitchen designed by Oz Architects? 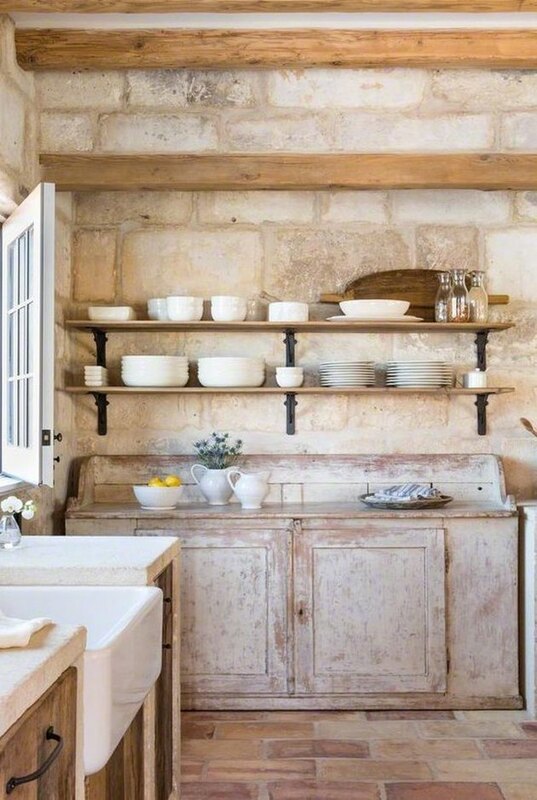 Well-loved cabinetry, local stone, and open shelving to show off heirloom ceramics. Exposed ceiling beams (made from reclaimed wood, of course) are also a must. The idea of preparing hearty ribollita in a setting that evokes visions of a Tuscan villa is pretty darn tempting. 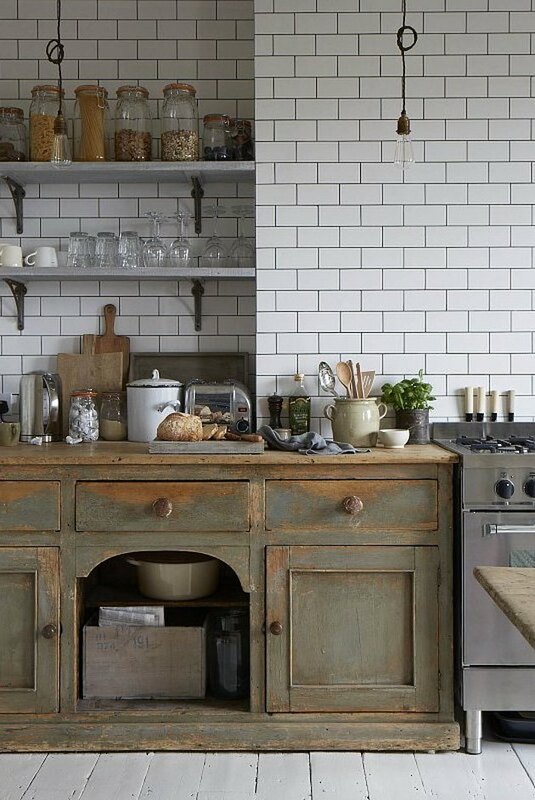 So pull inspiration from this kitchen captured by photographer Paul Massey, with distressed kitchen cabinets and open shelving. 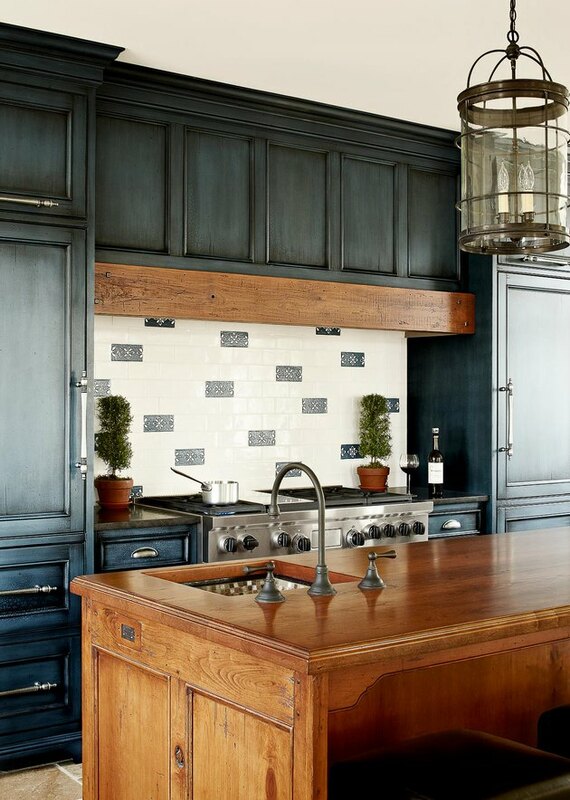 White subway tile and a gourmet stove offset the more rustic elements. There's something about this space designed by Zachary Leung that feels vaguely bucolic yet simultaneously sort of industrial and beachy. Perhaps it's the combination of black distressed kitchen cabinets and a marble waterfall countertop island. And let's not forget the classic barn style pendant. 4. Choose a muted color palette. 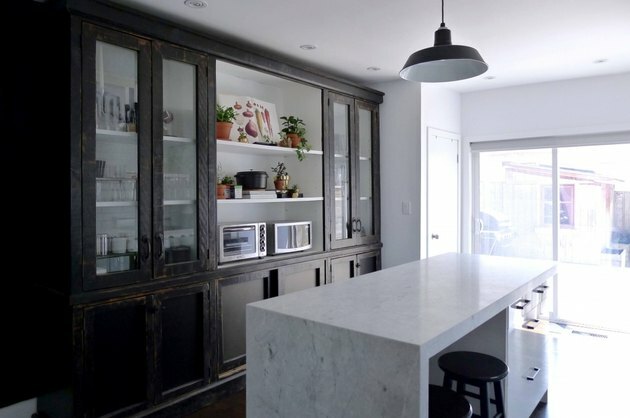 In this kitchen designed by Lindsay Chambers, a distressed finish gives gray cabinets tons of character. 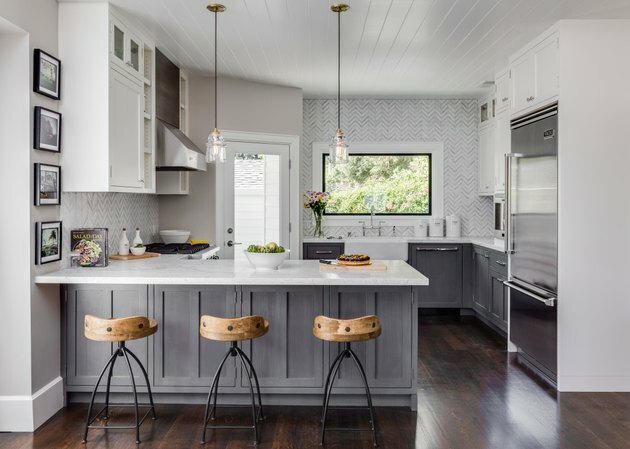 Gourmet appliances and a herringbone mosaic tile backsplash infuse contemporary flair, while wood and steel counter stools add a rustic contrast. And, the dark hardwood flooring is a superb choice. 5. Opt for an unexpected hue. This delicious kitchen designed by Heidi Piron is bursting with color and flavor. Medium-tone wood balances the richness of the blue-green cabinets. And the functional layout is sublime for whipping up tasty treats. Designed by Smith Hanes Studio, a blackened steel door frame, white subway tile-clad walls, and dark hardwood flooring set the perfect industrial stage for the real star of this culinary show. 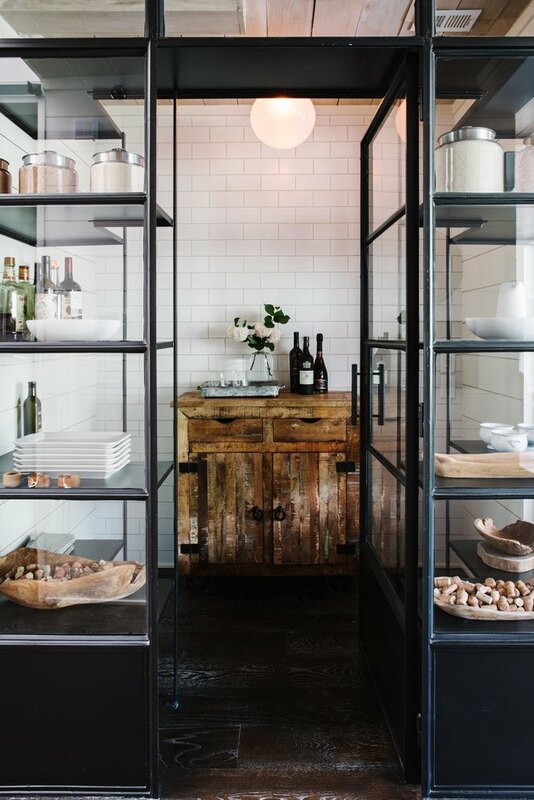 A gnarled medium-tone wood cabinet serves as the ideal complement for a modern kitchen pantry.